Japan’s Defense Minister Gen Nakatani expressed serious concern on Saturday regarding China’s activities in the East China Sea. TOKYO (Sputnik) – Speaking at a security summit in Singapore, Nakatani stressed, as quoted by Japan's Kyodo News Agency, that he was "deeply concerned" over the construction of military outposts in some of the disputed areas and emphasized that no country can be an "outsider" when it comes to regional stability. Japan and China have rival claims to the Tokyo-controlled Senkaku Islands in the East China Sea. The conflict became aggravated in 2012 when China sent warships to the waters around the islands after Japan claimed to have purchased them from private owners. In 2014, Japan and China agreed to reduce tensions over the disputed islands. 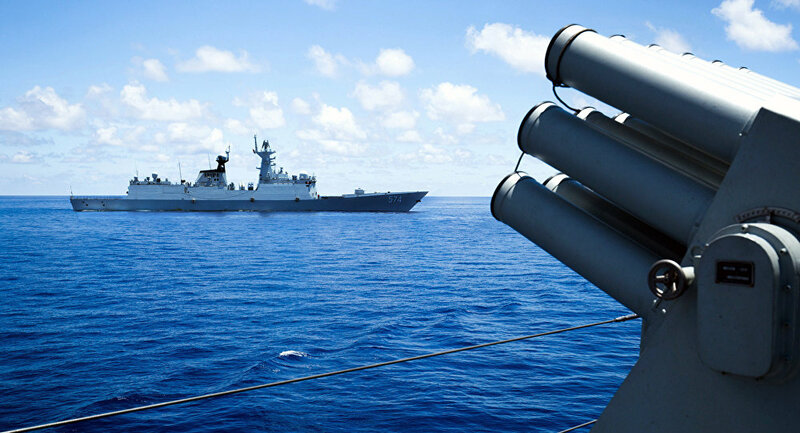 However, Chinese vessels repeatedly intruded into Japanese territorial waters around the Senkaku Islands in 2015.